Eamont Trophy, 7 year-old girls’ overall Hannah Jones. Brougham Trophy, 7 year boys Ben Lydon. Beacon Trophy, 8 year girls Sophie Bradbury. Lowther Trophy, 8 year boys Arran Pamphilon. Hewer Trophy, 9 year girls Amy Furness. Kevin Howe Memorial Trophy, 9 year boys Martin Heath. Ted Davis Cup, 10 year girls’ 50m freestyle Laura Huggon. NatWest Trophy, 10 year girls’ overall Laura Huggon. Frank Shepherd Trophy, 10 year boys Sam Johnson. Frenchfield Cup, 10 year boys’ 50m freestyle Sam Johnson. TSB Cup, 11-12 year girls’ overall Rebecca Halliwell. Ron Jennings Memorial, 11-12 year girls’ overall sprint Rebecca Halliwell. TSB Cup, 11-12 year boys’ overall Allan Armstrong. Ann Simpson Cup, 11-12 year boys’ overall sprint Allan Armstrong. British Legion Cup, 13-14 year girls’ overall Naomi Smith. John Wynne Naylor Memorial, 13-14 years girls’ overall sprint Naomi Smith. Jerry Bamber Cup, 13-14 years boys’ overall Stewart Marshall. Eamont River Cup, 13-14 years boys’ overall sprint Stewart Marshall. Cumberland and Westmorland Herald Trophy, men’s overall Jon Fletcher. Ian Powley Cup, men’s 100m freestyle Jon Fletcher. Birtle Trophy, ladies’ overall Naomi Smith. Abigail Plunkett Cup, ladies’ overall sprint Naomi Smith. 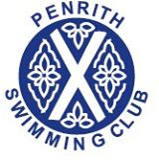 Frenchfield Shield, ladies’ 100m freestyle Helen Frith. Herbert Chapelhow Cup, ladies’ open 200m freestyle Chloe Naylor. Chris Fletcher Cup, men’s overall sprint Jon Fletcher. Lonsdale Cup, men’s 400m freestyle Jon Fletcher. Bulldog Shield, most points in county ASA age group Allan Armstrong. Leach Cup, boys’ under-16 50m freestyle Danny Smith. Jean Shield, girls’ under-16 50m freestyle Naomi Smith. Marsh Cup, girls’ secondary school 4x50m relay QEGS A. School Shield, mixed secondary school 4x50m relay QEGS A. Janice Archer Cup, most improved swimmer Mark Nixon.